Bonnymuir Brick and Tile Works, Bonnybridge. 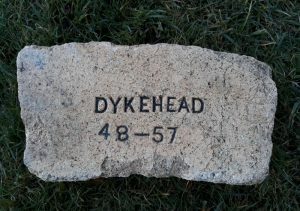 Established prior to 1867. It is possible that G Turnbull & Co operated this site in conjunction with the Woodlea Brick Works at one time Falkirk Archives. Below – 1839 – The advert below infers that George Turnbull & Co were established at the Bonnymuir Works in 1839. 04/12/1851 – Falkirk Herald – On Monday morning, on the arrival of the workmen at the Bonnymuir Brick and Tile Work, the fire-brick stove was found to on fire. Owing to the calmness of the air, the fire was easily subdued before reaching any other portion of the buildings, the damage being confined entirely to that part of the work, which, happily, insured. 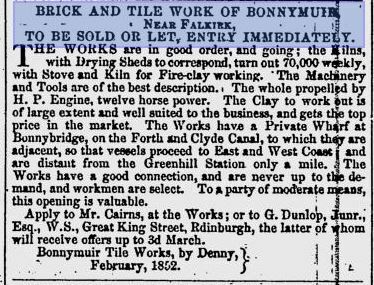 Below – 20/02/1852 – The Glasgow Herald – Bonnymuir Brick and Tile Works for let or sale. 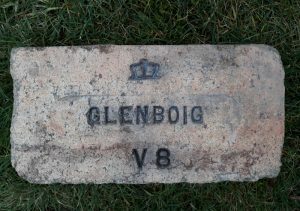 1855 – Margaret Donald and her husband Alexander Cairns, once manager of Malcolm Cockburns Gowanbank Brickworks were living in Melbourne Australia but still owned the Bonnymuir works which was managed by George Turnbull. 1875 – By this date Alexander Cairns had sold the Bonnymuir Works to Alexander Duthie of Ruthrieston. George Turnbull was still the tenant. 1878 – George Turnbull, brick and tile maker, Denny, Bonnybridge – TO Lower Greenhill Station. 1880 – It is believed that George Turnbull bought the Bonnymuir Works at this time. It was described locally as a Brickworks and Bone Mill. Bones from the local slaughter houses were calcined in the kilns then ground up into a bonemeal fertiliser. 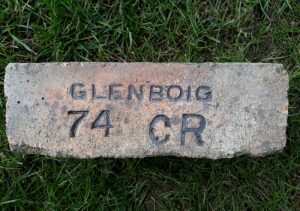 1882 – George Turnbull, Fire Brick Maker, Bonnymuir Works, Bonnybridge. 1882 – George Turnbull had a sister , Margaret who married James Dougall (later formed James Dougall & Sons, Bonnyside Fireclay Works). They had several children including Margaret and Janet who became partners with George Turnbull around 1882. 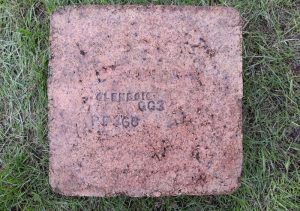 1882 1885 – George Turnbull, brick and tile maker, Bonnybridge. 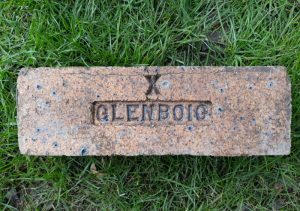 1886 – 1887 – George Turnbull, Fire Brick Maker, Bonnymuir Works, Bonnybridge. 27/08/1887 – Falkirk Herald – Lamentable Blasting Accident.— On Monday, a man named Charles Robertson, residing Broad Street, Denny, was engaged blasting in the clay pit connected with the Bonnymuir Brick Works, Bonnybridge (Messrs Griffiths & Company), an unjammed charge of 7 lbs. of powder suddenly exploded, with the result that both Robertson’s eyes were destroyed, and he has been rendered blind. Both his arms were also much burned and his left one was broken, and he was likewise injured about the body. It would appear that Robertson was engaged preparing the charge, when it is supposed that a spark from his lamp caused the explosion. The poor man was removed to his home, and was attended to by Dr Benny. 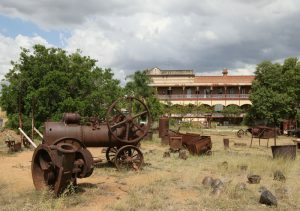 Robertson lies in painful and dangerous state. He is about fifty years of age, and has wife three children depending upon him. 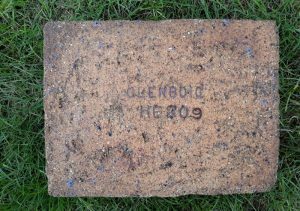 24/09/1887 – Falkirk Herald – Wanted a fire brick burner for Bonnymuir Brick Works, Bonnybridge. One accustomed to grate brick moulds preferred. Apply at the works. 1889 – George Turnbull dies and his business is taken over by Margaret and Janet Dougall who employ Henry Bruce to manage the Bonnymuir Works. Robert Dougall also joins this partnership. 1893 – 1896 – Bonnybridge Brick and Tile Works – George Turnbull. Silica Fireclay Works. 07/04/1894 – Falkirk Herald – Death of Mr Alexander Campbell on 31/03/1894 – He was the underground manager of the firm of James Dougall and Son, Bonnymuir Brick Works. 1901 – 1904 – Bonnybridge brick and tile works, George Turnbull. 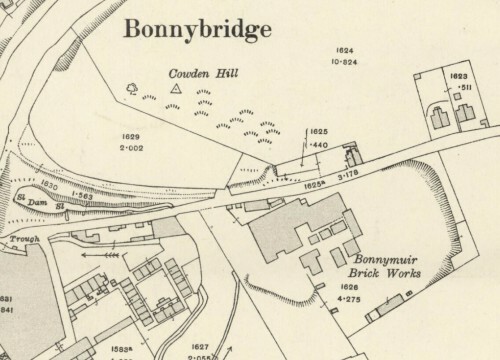 Below – 1914 – Bonnymuir Brick and Tile Works, Bonnybridge. 1923 – Castings Magazine – Advert – Source Falkirk Museum and Archives – George Turnbull and Company, Dykehead Brickworks, Bonnybridge. Established 1839 – still open in 1923? The works stood on a Millstone Grit bed of clay and had their own mine just to the south of the works. 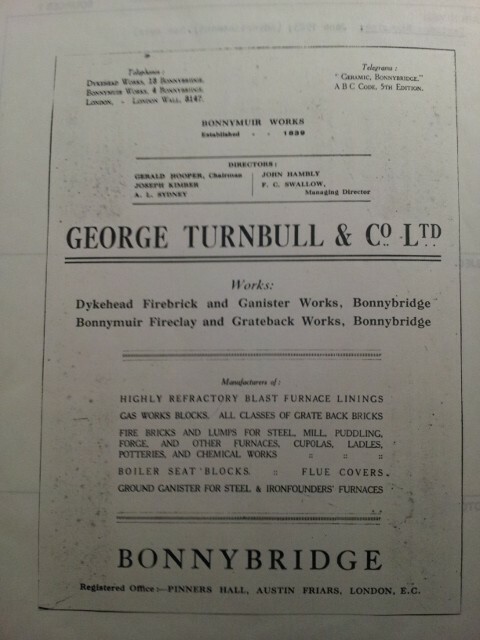 When owned by George Turnbull, together with the Bonnymuir Tile Works they produced blast furnace linings, gas works blocks, grate back bricks, fire bricks, furnace blocks, cupola’s, ladles, boiler seat blocks, flue covers and ground ganister. 16/02/1924 – Falkirk Herald – An outbreak of fire occurred on Wednesday morning at Sunnybrae Terrace, the property of Messrs George Turnbull & Co., Ltd, Bonnymuir Brick Works. The fire originated through one of the chimneys in the tenement catching fire, and the flames in turn caught the weather board at the gable, and spread to the roof. The Bonnybridge Foundry Fire Brigade was immediately summoned, and succeeded in extinguishing the flames before much material damage was done. 04/09/1926 – Falkirk Herald – On the occasion of her leaving the employ of Messrs George Turnbull & Co., Ltd., Bonnymuir Brick Works, to be married, Miss Bessie Dempster has been presented with a handsome mahogany timepiece, suitably inscribed, from her fellow-workers in the office and the employees of the firm. Mr Thomas Easton, commercial manager, presided over the gathering, and the gift was handed over by Mr Wm. McClusky, works manager. Mr Easton, on behalf of the recipient, suitably replied. 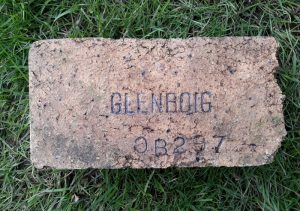 1960 – The Bonnymuir Works continued to make gratebacks and baby bricks after WW2 but they were closed in 1960. 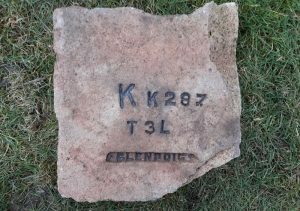 Next Article Woodlea Brick and Tile Works, Bonnybridge.